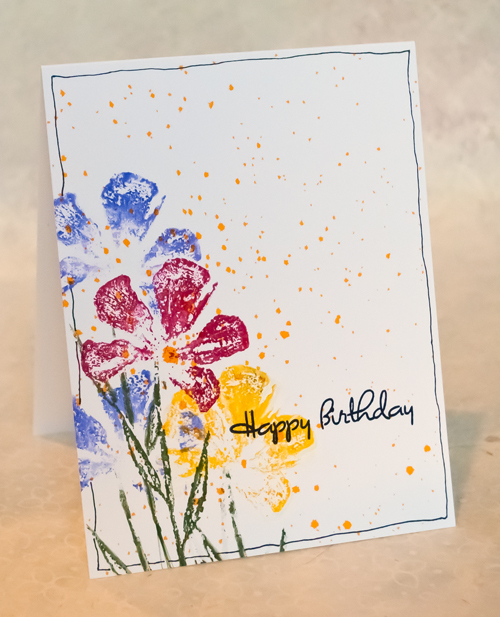 Sprayed the card with Dylusions ink before I stamped. First time I've used a spray ink. First spray out of the bottle and I really love this stuff. Drew the border by hand. Other: White cardstock, Dylusions Pure Sunshine Ink Spray, SU markers and a Pigma Micron 03 ink pen.